Ready to start planning your meeting or event at Millennium Hotels and Resorts? Complete our online request form and we’ll send through a proposal tailored to your needs by the end of the next working day. 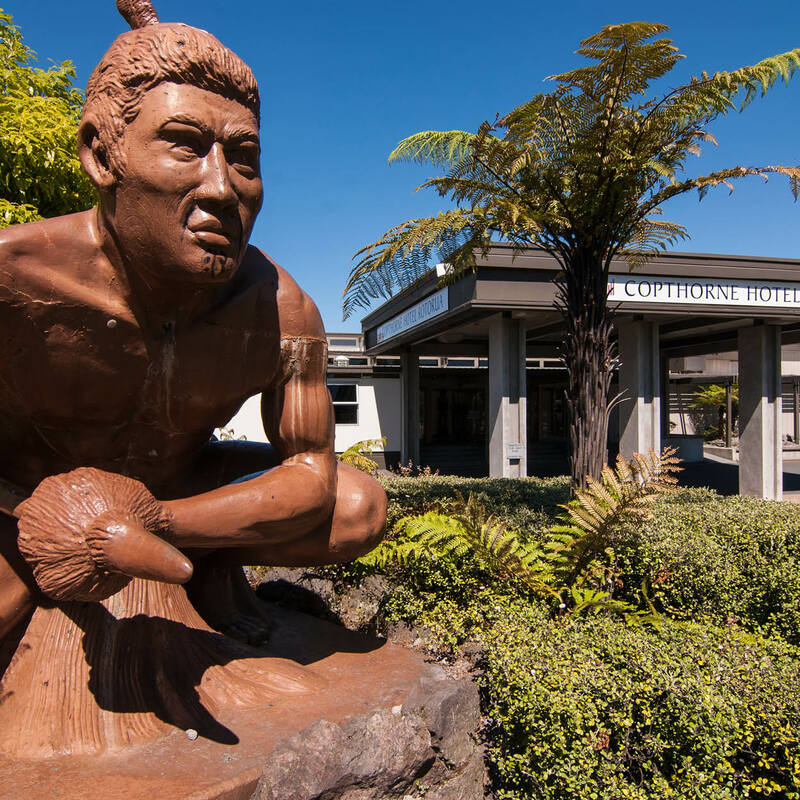 It’s an iconic landmark in Rotorua, the magnificent Maori warrior cast in bronze welcoming visitors to Copthorne Hotel Rotorua. Situated in the midst of a region that offers unique geothermal wonders enjoy the best facilities and surrounds, from the newly tiled swimming pool to clean, contemporary, stylish accommodation. Midway between the world famous Pohutu Geyser and the city centre, the hotel is perfectly located to take full advantage of everything the region has to offer. Copthorne Hotel Rotorua is endorsed with a Qualmark 4 Star and Enviro Silver rating and is part of the Rotorua Sustainable Tourism Charter.